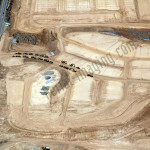 Prepared land for a construction project is best viewed from the air. 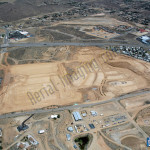 Aerial photography is useful to help site managers prepare for the next phase of their construction project. Here are some aerial examples. "Once we met with Evan, we immediately cancelled our other meetings with his competitors. From start to finish Evan worked tirelessly to meet our needs, even when we didn't know what we wanted. Our locations were remote and large. Evan captured them perfectly and on time. The end results surpassed our expectations. We are happy to say we will never use anyone else." 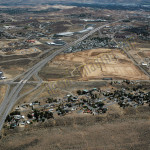 Our monthly aerial gallery newsletter has unique aerial pictures of places in Nevada, Arizona and parts of California. You will find it fascinating! In addition to our Northern Nevada and California locations, we can provide you with edited aerial video and customized photography in many parts of the US. 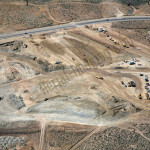 We are connected with other aerial videographers & photographers worldwide to assist us with your project. Contact Evan today! Need Photography or Video for Your Listing or Project? 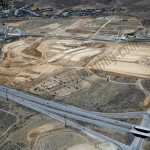 I would love to hear about your upcoming aerial or commercial photography project. Tell me about it by filling out our contact form. If you prefer you can call 775-846-85-nine-8. I look forward to hearing from you! Aerial photographer since 2005. Nevada is home with wife and 2 kids. Coffee drinker, reader of history, guitar player and forest explorer near Tahoe. Always up for a good story.